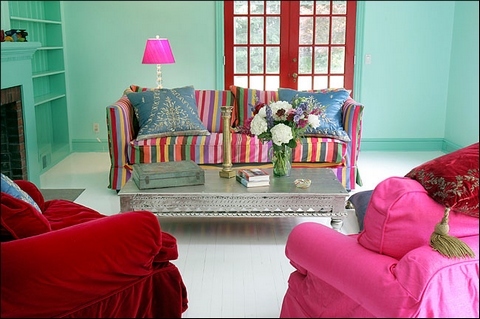 Love the bright, vibrant colors in this room! oh i imagine that ! there is 2 couple married .. its very lovely sofa's and blinds.. thank 4 share with me this .